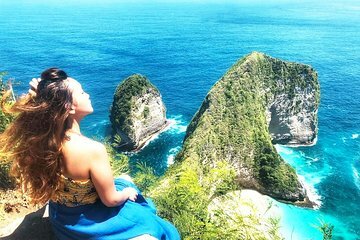 The rugged cliffs and sparkling beaches of Nusa Penida island are perhaps Bali’s most spectacular. Experience its signature sights without the hassle of staying overnight on this convenient door-to-door guided day tour. See Pasih Uug Beach (Broken Beach) and Angel’s Billabong, admire Paluang Cliff and Kelingking Beach, then swim, sunbathe, and perhaps even snorkel at Crystal Bay.